The question of ROI for a Learning Management System depends on what method your company is currently using for training. In this article, we will compare an LMS with face-to-face and webinar-based training. Getting Value From A Learning Management System: What Method Is Your Company Using For Training? How many people in your organization (new or recurring) do you train per year? What is the average cost of each course? Do you pay people to travel to courses? 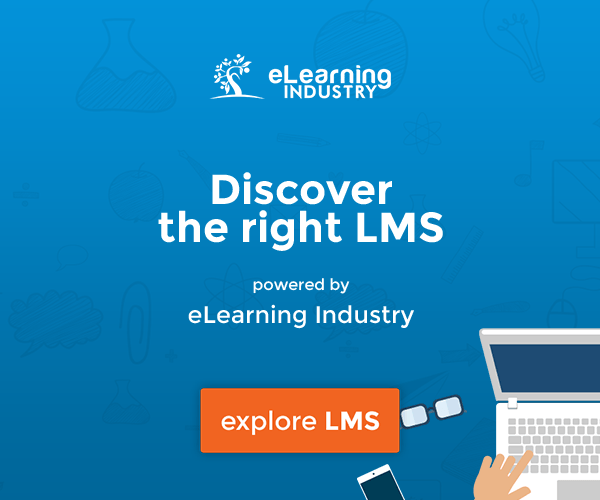 What is the annual cost for an LMS that will fit your requirements? You have three job sites in Los Angeles and one site in San Diego. 100 people per year take two 2-day courses at $595 per person – total cost $119,000. 50 people, on average, travel to a site in order to attend, at an average travel cost of $0.60 per mile and with an average travel distance of 30 miles – total cost $1,800. 25 of those 50 travelers require accommodations during the course, at $130 per night – total cost $6,500. The grand total for 100 people to attend two 2-day courses in person is $127,300. Costs would be higher if air travel was necessary, and we’re not including the cost of food in this calculation. In addition, the administration costs of keeping track of who has attended, completed, and passed training need to be added.  Record keeping may be manual or online through a human resource management system. By way of comparison, an average annual cost for a hosted LMS system based on Totara or Moodle is around $20,000 to $30,000 – depending on what add-ons you choose. A hosted LMS will accommodate far more learners than 100—Lambda Solutions host LMSs for clients with nearly 100,000 learners—and you can run as many courses as you like, make them available 24/7/365, and receive real-time reporting on learner progress. What this does not include is the cost of course development or purchase if you do not own the content. Most companies, however, maintain proprietary systems, so many develop their own competency courses or contract with instructional developers to produce on their behalf. When paid for on this basis, a course can cost anywhere from $10,000 to $100,000—depending on length and level of detail involved. When you have paid for course development, you can use the course any number of times you like – reducing the per-student learning fee significantly over time. The cost for the platform does not change no matter how many courses you run in a year. Maybe you are using audio conferencing or webinars to get around the costs of face-to-face training. By choosing an online delivery method, you have already reduced costs in terms of travel, accommodations, and venue. In addition, most webinar-based training sessions are recorded and people can “attend” by watching the recording anytime. The cost to host a webinar is relatively low, with services accommodating 100+ participants for a monthly fee anywhere between $50 and $100 – depending on the features you are looking for. Over time, though, companies have come to view webinars as good for demonstrations, introductory purposes, or in-depth discussions on a topic within a broader course of study. As a replacement for quick ‘lunch and learn’ kinds of training, or for demonstrating how to use software, webinars are great. But for longer courses, where there is lots of material and the learner needs to engage for longer than an hour to reach proficiency, a webinar is not your best bet. After all, who is going to sit online for two days to participate in a live webinar in order to absorb all the material in a longer course? For more in-depth courses, an online system leaves the bulk of the learning to students who can access the system any time, and progress through a course at their own speed. Learning Management Systems are designed to enroll learners into courses, manage the presentation of course materials, and track progress. The administrative functions that an LMS handles are more sophisticated than webinar communications systems – offering compliance tracking and certification as well as human resources functionality such as performance management and 360 review programs built right in to the application. Are event-driven instead of course-driven. Assessments are separate activities, not part of a specific unit of a course. Performance is tracked manually using instructor grade book data. As supplements to online courseware, webinars are an excellent way to bring people together, stimulate discussion, and present visual information. In fact, here at Lambda Solutions, we love webinars and use them on a regular basis to share best practices with our clients. While it is often appropriate to include webinars in a course as a means to discuss topics, comparing webinar-based training with online learning through an LMS is comparing apples to oranges. They are interrelated, but achieve different goals. 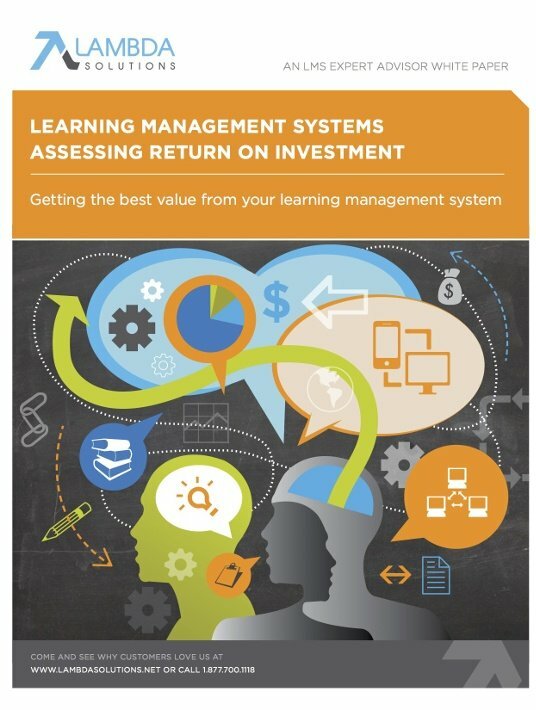 If you want to know more about assessing the ROI of an LMS, download the free eBook Learning Management Systems - Assessing Return On Investment.